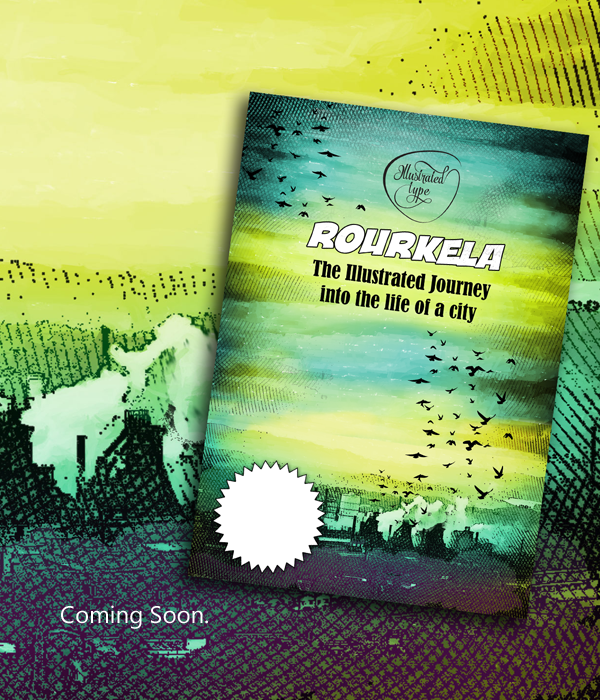 The “Rourkela: The illustrated journey into the life of a city ” book project is an unique attempt to stitch to weave a canvas of experience about a place through illustrative medium — it’s more about travelling through time and space to witness the growth of a city and it’s culture. India’s first ever integrated steel plant under public sector ‘Rourkela Steel Plant’ facility was established in Rourkela 1954-55. Post independence the then leaders wanted to set up a steel plant to make India self-dependent in iron and steel.Pundit Jawaharlal Nehru, the first Prime Minister of India wanted to make India an industrialised state. Iron and Steel was the basic requirements of the people at the dawn of the independence. Finally the leaders of the nation selected Rourkela for a steel plant. aims to include those little little things that makes help understand the place better – including the flocklore of the place to actual historical linkage to some part of the place that typically go unnoticed due to the fact that the place is less written about in different books and magazines. 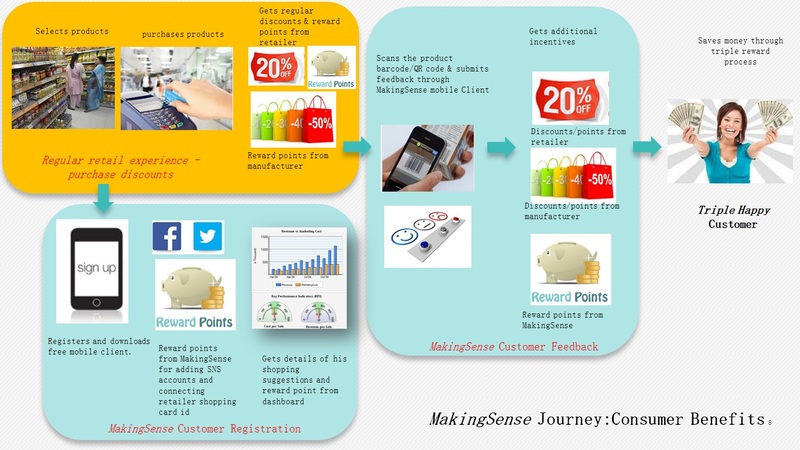 “MakingSense” is IoT based market analytics platform to connect all goods and products (specially non-digital goods) that behave as fast moving goods to the cloud-analytics to get real-time market insights to make the required course correction for the market strategy and business decisions for the product manufacturers and retail chains. This enables a direct feedback model between the consumers with the producers and sellers. As per current market trends, even high-tech goods like mobiles, digital accessories are behaving like FMCG in market. Rapid change is evident in consumer behaviour due to influence from technology, economy and changing buying power of the consumer . Speedy ‘go-to-market’ approach in the market from players in the market has increased the competition. Many local and niche competitors are giving tough challenges to bigger players in all segments, specially in emerging markets. For globl players the typical market strategy is not working in expected way. Traditional approach of market insights collection is not sufficient to apply the necessary check and balance for market plans in real time. 2.The consumer behaviour towards tech-goods is also needs to be tracked in real time to ensure how close they are behaving to the FMCG market behaviour. 4.Need to look beyond the traditional field immersions, surveys to get micro-insights for course corrections in strategy. The “MakingSense” platform will help product manufactures and retailers in gathering real time customer insights even for non-digital goods and helps adjust the customer retention dynamics . In retail and non-tech sector the real time insights are needed for goods that are not digitally connected to analytics eco-system. Need to look beyond the traditional field immersions, surveys to get micro-insights for course corrections in strategy. The platform has self sustainable business model that will make it grow though benefiting the product manufacturers, retailers and the consumers. The final envisioned eco-system will have a big-data enabled management module in cloud, a super easy to use dashboard system for product manufacturers, retailers and consumers and mobile apps and easy integration public APIs along with one SMS enabled gateway. The producers and sellers can register their products to generate specific code to their products category and if required can use the APIs to map their existing bar-code systems. The normal consumer can register themselves to generate the reward points and to be used directly in the registered retail chains or can redeem for some gifts from their dashboard itself. The eco-system will allow the product companies and sellers to get real time analytics through creating data points directly. The incentivise/rewarding consumers for their feedback is what will make it more successful. Whether the product the consumer gives feedback on is purchased from the registered retailer or not, he is definitely getting the reward points or freebies from the site. If he purchases the product from the registered retailers, then he is getting additional discounts or reward points. On top of it if the product manufacturer registers, then the customer is getting more discounts! It’s a triple advantage for the customer. Now, this is a new strategy where the customer is prompted to buy the product from specific manufacturer, from a specific retailers toget advantage of this. While the whole aim is to get feedback and analytics running, this model also induces a new competition on product manufacturers to provide discounts to bring down the final competitive price to retain customers at the same time the customer is also getting benefitted. Consumer — reduction in home budget, get incentive, rewards for their feedback. The “MakingSense” platform will help product manufactures and retailers in gathering real time customer insights in real time even for non-digital goods. In retail and non-tech sector the real time insights are needed for goods that are not digitally connected to analytics eco-system. Need to look beyond the traditional field immersions, surveys to get micro-insights for course corrections in strategy. i. BigData analytic-engine that can do the necessary data mining to understand trends and formulate recommendations . ii. Open REST APIs providing easy way to integrate third-party systems such as retail-management systems, third-party analytic and business process tools/apps. iii. user management modules with different levels of access to different roles. iv. Reward points management and coupon code management system. v. Payment gateway and subscription and vendor management. 3. “Making-Sense client” — This is primarily mobile/device client and consumer facing service gateways (and optionally hardware) that can be used by the consumers to submit their feedback. In the multi-phased development roadmap, initially the mobile apps will be primary representative of this section. Later phases will introduce SMS enabled gateways, custom “MakingSense” hardware, which will be cheap yet provide easier way to share data from the consumer. 1. gets account registered at ‘MakingSense Portal’. 1. Registers at the Portal — if he is from a retailer’s database, he can map his account to this system. 3. scan the barcode of any product he purchased and rates the product. 4. For each feedback on different (at least different batch of same product with in a specific time period range) the products, gets “reward points” or discounts codes or freebies coupon codes. 5. If retailers/product manufacturer has sponsored rewards, based on accumulated points, he can redeem them at their store. Else these can be redeemed at the “makingSense” dashboard at the portal. IoT will help in rapidly accessing this. liked? great – good – bad ? what else he likes in the same product line ? what similar product he uses? what similar product he likes most ? what brands? how many such buyers are in the region who are potential buyer? how a product is behaving in a segment? what should be the status? if connects to his SNS account/FB/retail shopers card — then u get location, age, gender, type etc. — new gold mine where every one will want to invest. 1. Consumer is rewarded for any feedback he shares for any product he uses. Along with it the access to premium data and value added services like (customizable report, goal alignment, market strategy etc. ) can be a major source of revenue . Global Spending on Market Research is 32 Billion USD. Out of this only Asia Pacific spending is == 5 Billion USD. target in five 1st tier cities. That results in 100 Cr INR Revenue in 1st year . No-whitelabelled system — Amamzon uses it for it’s own usage. It’s is NOT a feedback based model, the bigdata only shows which segment is purchasing which product. Special marketing-insight platform – unique and first of it’s kind. Specially designed to handle multiple vendors, retailers and consumers along with reward points/incentive management model . works across cross platform, outlets, cross multi-channecommercialal platforms both counter based or online. works across cross platform, outlets, cross multi-channel commerceial platforms both counter based or online. Can be scaled from FMCG to insurance, banking/finance sectors. New concept, new to the market — disruptive business model for market research where customers are incentivised for their feedback directly. Requires fund to maintain the incentives/ rewards for the end-consumers. Large scale imkplementation can bring meaningful results?????? Penetration of single super markets, and online selling is low. Retail chains making their own platform — will get limited view only only their customers..still they need to spend more in their marketing agencies. It’s a tripple advantage for the customer. Consumer — reduction in home budghet, get incentive, rewards for their feedback. 1. routinely research consumer beavior? 2. routinely report research with financial matrics? 4. compare with level achieved by your competitor using the same indicators? 5. adjust short term performance? 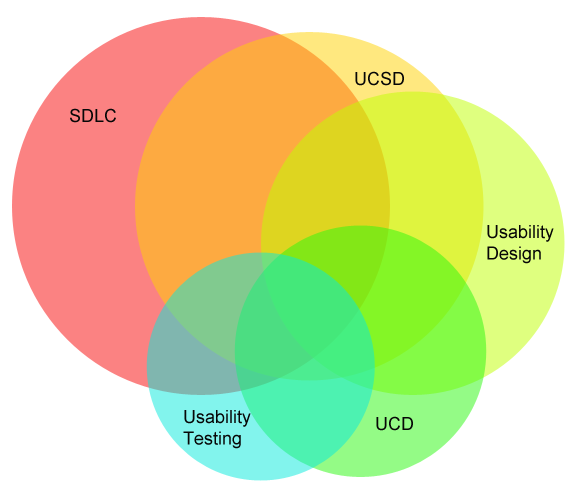 The User centred approach to solve a design problem, always keeps user or the segments in mind. However the design problem being solved is always refer to a larger business problem for the product to be successful in the market. So it is always important to keep in mind the business context of the product and the company or business entity who is releasing it to the market, in order to come out with a successful UX for it. If we refer to any standard business model frameworks such as “Business Model Canvas”, a template that is popularly used for developing and investigating every important aspect of the organisation. The framework in such a template outlines investigations for areas such as key partners, key activities, key resources, value propositions, customer relationship, channels, customer services, cost structure and revenue streams, which always helps to understand and identify the core goals, strengths and priorities of the business that provides the context in which the UX has to be seen. 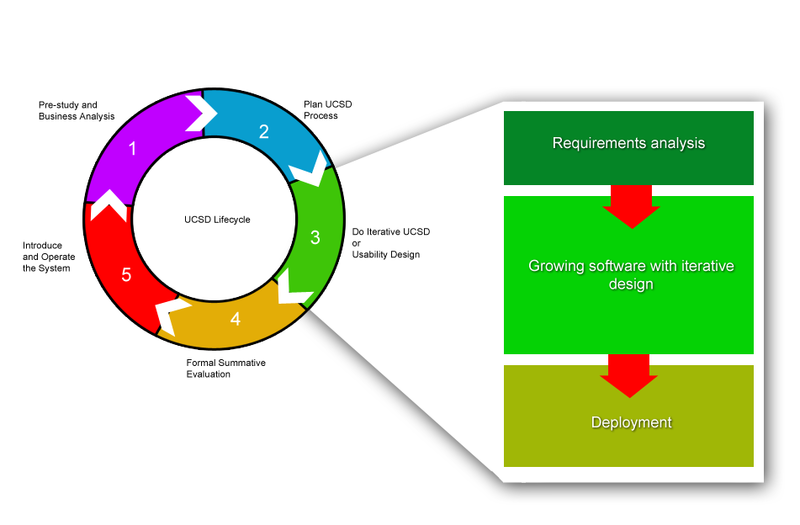 From a product manager’s standpoint, the successful UX meant for a business must balance between the needs of the users and the feasibility of implementation of the UX solution within the business context. Customer needs + Business context +Technological feasibility = Successful UX making the successful product. The better side of this standpoint is that it limits the craving from the pure designer’s mind set to do a “blue sky thinking based solution that is not practically viable for the business to grow.